Location TBD. No location for the meeting has been set, though Mar-a-Lago is probably a long shot, the Guardian reports. 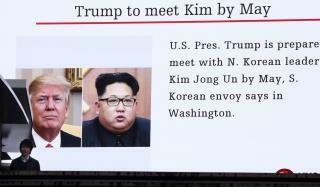 Experts say that while there's a chance Kim could visit Washington or Trump could visit Pyongyang, more neutral potential venues include China, South Korea, or the DMZ. Next on Newser: Coming Down the Pike: Major Obama-Netflix Deal?